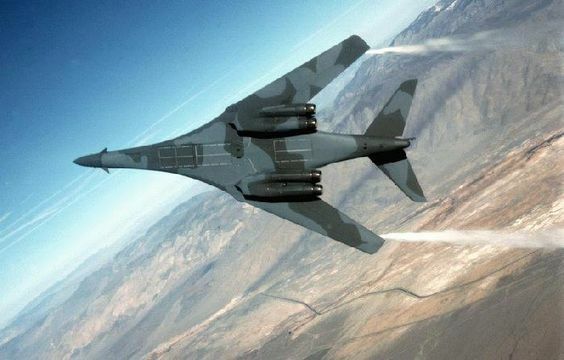 USAF B1 Lancer Bombers have again flown near the demarcation border between North and South Korea in a strategic demonstration by the United States of its air superiority according to Military.com and the Associated Press in a release today. Here is the Military.com story. Above is short 1:10 long video clip of the USAF Rockwell B-1 Lancer swing-wing (wings change fore and aft position during flight in order to increase flight envelope performance and stability) bomber strutting its stuff out of Mildenhall Air Base in the UK. Both below photos below are courtesy of the USAF. 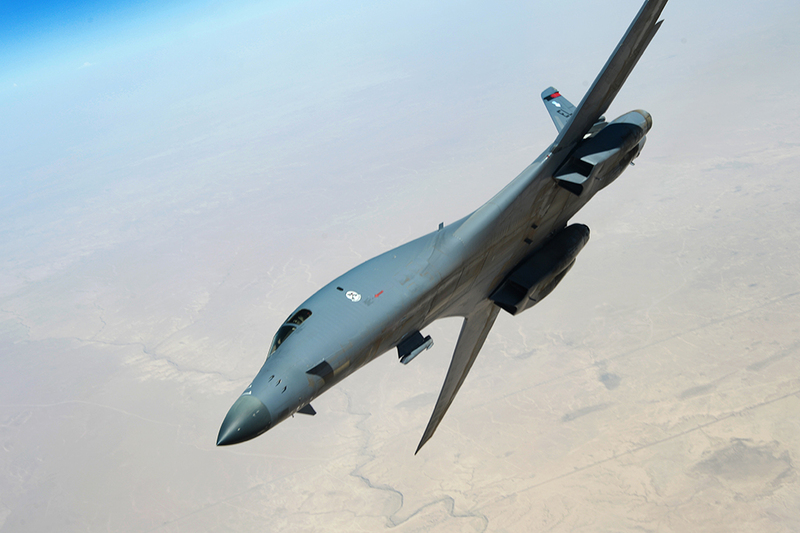 A U.S. Air Force B-1B Lancer departs after refueling from a USAF KC-135 Stratotanker from the 340th Expeditionary Air Refueling Squadron over Southwest Asia during a mission in support of Operation Inherent Resolve, July 23, 2015. This entry was posted in AVIATION NEWS on September 21, 2016 by FASFRIC.